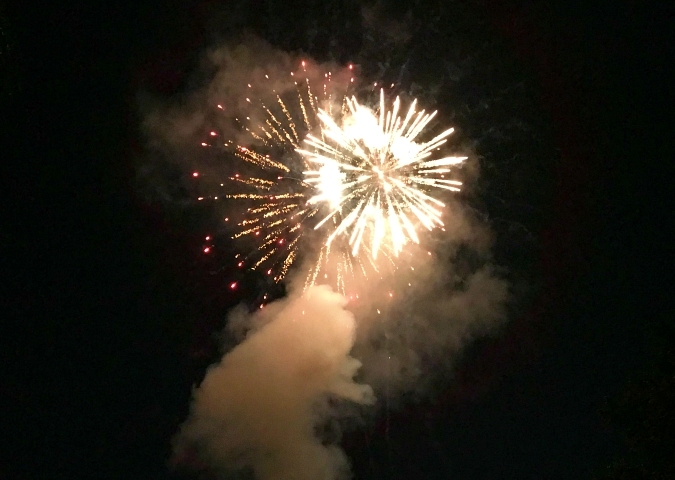 after we finished work in the theatre on saturday night, we took a walk a few blocks down the street from our house to a local park to see our town's annual fireworks display. i didn't have my camera with me but did snap one picture on my phone. i love the tradition of seeing the fireworks so close to home put on by our town every year. They were really pretty fireworks. A celebration for Ryan's upcoming birthday.